The first hurricane of the Atlantic season made landfall on the coast of North Carolina on Thursday night, bringing heavy rain and damaging gusts of wind. 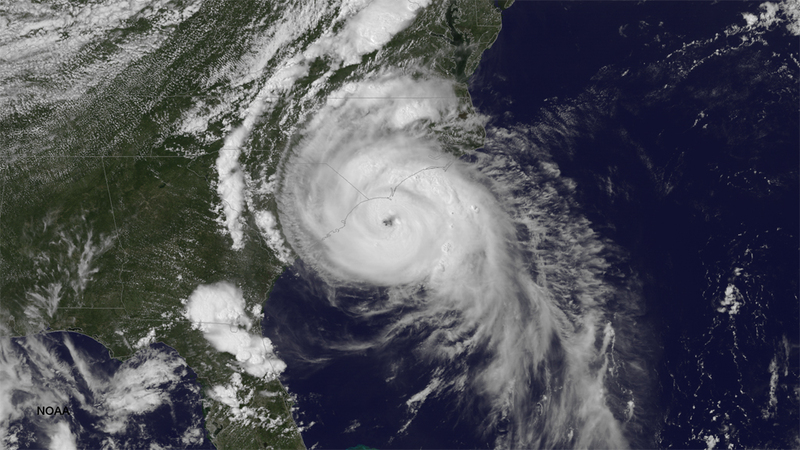 Hurricane Arthur crossed the coast on the southern end of North Carolina’s Outer Banks, near Cape Lookout, at 11.15pm local time. As it struck the coast, Arthur was a category two storm on the Saffir-Simpson scale, packing sustained winds of 100mph, with stronger gusts. Arthur is the first hurricane to hit the US since Superstorm Sandy – a storm that devastated New York and New Jersey in October 2012, causing an estimated $70 bn worth of damage. Despite the storm growing in intensity on Thursday, the core of strongest hurricane-force winds only extended around 40 miles from its centre. The storm’s arrival disrupted plans for holidaymakers and residents who were ordered off North Carolina’s low-lying barrier islands. Tourists and residents packed ferries and crowded the highway off Ocracoke and Hatteras islands, where voluntary and mandatory evacuations were in effect. The ferry service between some islands was suspended during Thursday afternoon, as 22ft waves lashed the coast, combined with strong winds. Despite the evacuation notices, some people on Hatteras Island decided to ride out the storm. Retiree, Gerry Lebing, said he was tying things down at his house and moving cars to higher ground. North Carolina officials warned that the storm surge from Arthur could make the narrow 50-mile highway connecting Hatteras Island to the mainland impassable. Part of the highway was washed out by a storm surge for two months after Superstorm Sandy hit, forcing people to use ferries to reach the mainland. State officials said 105 National Guard members have been deployed to help with storm preparation and safety, and 400 state troopers are helping with the evacuation efforts. Despite losing strength on Friday, Arthur is expected to deliver heavy rain to Boston and strong winds over Cape Cod and Nantucket, before passing over Nova Scotia on Saturday.